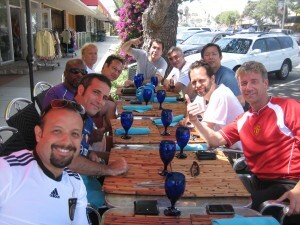 The United States Medical Soccer Team (USMST) began as a concept in 2003. 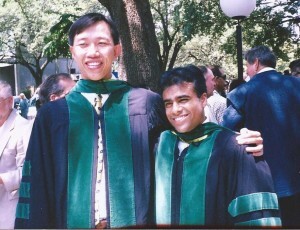 Ky Tran and Gautam Nayak were best friends, world travelers, medical school classmates, aficionados of “The Beautiful Game”, and early in their careers as physicians. As they separately muddled through residency in different parts of the country, they very quickly realized that life moves fast. 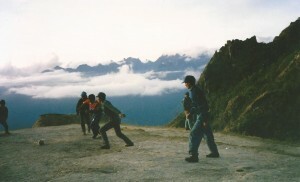 Trips to Machu Pichu, Chichen Itza, and Annapurna were distant memories replaced by pager beeps, board reviews, and sleepless nights. It was a difficult period until Ky, on a lark, contacted Ferran Morell of the World Medical Football Federation. Ky had been playing soccer with residency colleagues and had heard about a unique opportunity to play soccer in various parts of the world with other physicians. 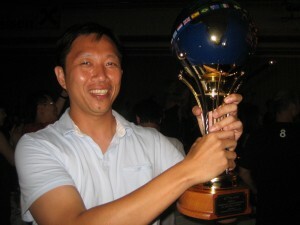 Surprisingly, this “Physicians World Cup” had never hosted a team from the United States. Ky’s communication with Dr Morell was the first step in what would be years of contact without tangible results. At the time, Dr Morell and other teams in the Federation encouraged the participation of a team from the US but had no idea how challenging it would be to pull this together. Neither did Ky and Gautam. Soccer in the United States is still a sport of immigrants and children. The vast majority of physicians that play sports gravitate towards golf, tennis, running, biking, and other low impact activities. Those young enough to attempt soccer do so until their bodies tell them to stop, which is usually early in training. Finding doctors to play on a soccer team was possible, but getting them to take the next step and travel across the globe to do it was proving impossible. Residency wages and a half-baked plan were the roadblocks. Years passed, and a slow stream of doctor contacts came out of the woodwork but were not enough to form even a defensive unit. Ky’s cold calls to medical school classmates on our intramural teams did not yield expected results. Randomly discussing our plans with friends and colleagues were met with blank stares. Our attempts to form a “Coalition” team with another country were met with resistance from the Federation. Ky was on the move to California and Gautam was getting out of the US Navy. Life awaited. In the fall of 2009, Gautam met Mike Daines in his new home of Wenatchee, Washington. 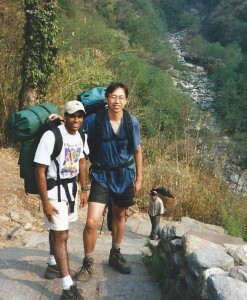 A pathologist in Gautam’s multispecialty group, Mike was an avid footballer. 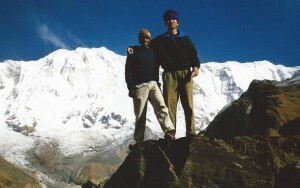 He and Gautam became friends and recreational soccer teammates. During one fateful evening, Gautam mentioned his and Ky’s “dream project” to Mike, and much to his surprise, Mike became enamored with the idea and began brainstorming ways to put the project back on track. Something clicked, and Gautam officially recruited in Mike and contacted Ky. They weren’t crazy after all. This was an important idea and needed a fresh set of legs. Ky was settling in with new roots in Los Angeles. Through a stroke of luck, he met Robert Hosseini, a true “connector” in the parlance of the ever insightful writer Malcolm Gladwell. 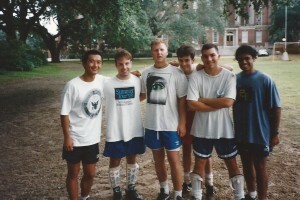 Robert’s involvement was the key step in transforming Ky and Gautam’s project into the US Medical Soccer Team. His vast network of soccer playing physicians soon began to materialize into a team. Ky and Gautam were making nightly recruiting phone calls and episodic home visits, often to convince wives of the legitimacy of the project. More often than not, phone calls led to dead ends, but on occasion, something would click. Ideas would flow. Men who had spent much of their lives studying, working, caring, and sacrificing were now ready to leap into something bigger than themselves but intrinsically part of their heart and soul. A website created by Mike Daines and his son Jack became a springboard for recruiting and made the organization legitimate. The USMST became a reality in the spring of 2010. 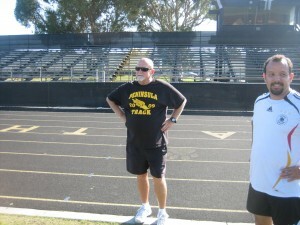 After bringing on the incomparable Jim Lillie as head coach, the USMST held two practices in Los Angeles in April and May of 2010. They had a team and would be the first ever team from the United States to compete in the Global Championship of Medical Football Teams in Innsbruck, Austria. They were naïve but excited. The cautious optimism boiled over into sheer exuberance as the team took the field for the first time in Austria and lined up at midfield for the national anthem. As “The Star Spangled Banner” blared over the loudspeaker, Ky and Gautam knew that the many years of persistence had paid off but more importantly, their lives and those of their new friends, colleagues, and countrymen would be forever changed for the better. 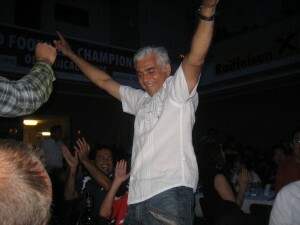 By the closing ceremony in Innsbruck, the entire Federation would be on their feet, chanting “USA! USA!” as we accepted our 11th place trophy. It would be a bittersweet moment, but one which resulted from a leap of faith from fifteen doctors who realized the potential of this project. While the finish in Innsbruck was not ideal, the arduous start of USMST will always be part of the team’s fabric. Like America itself, the US Medical Soccer Team was born out of a culmination of hard work, luck, persistence, energy, friendship, and teamwork.